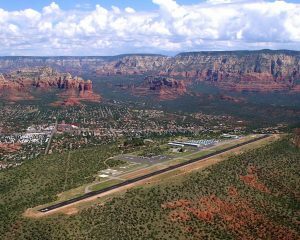 Above, Sedona’s airport mesa. Handles small jets. Looking towards Uptown. 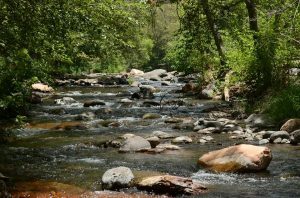 Sedona is divided into areas by the locals: Oak Creek Canyon, Uptown, West Sedona, The Chapel, and The Village of Oak Creek. Oak Creek Canyon is along SR89A, north, from the outskirts of Sedona to the base of the switchbacks which lead to Flagstaff. The areas of Junipine, Rancho Shangri La, and Pine Flats provide both full time and second home possibilities. There are currently 3 properties available in the Junipine area from $419,900 to $499,000. Rancho Shangri La currently has no available properties for sale. Pine Flats has 2 available properties: $409,000 and $499,000. 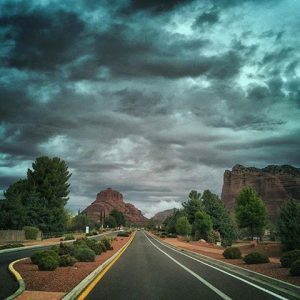 In Sedona, the Uptown area shows 34 properties available at this time ranging from $314,900 to $1,895,000. 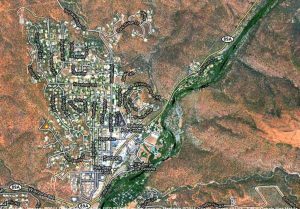 The West Sedona area offers 133 properties to choose from, starting at $150,000 and topping out at $6,000,000. What locals call the Chapel area along 179 offers properties in may subdivisions from all price ranges. High end subdivisions to more moderately priced homes around the Chapel itself. The Village of Oak Creek. Not in the City of Sedona, but an unincorporated area in Big Park, Yavapai County. 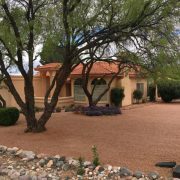 “The Village”, as residents call it, does have a Sedona Zip Code. The Village currently has 71 properties for sale, priced from $159,000 to $2,900,000. There are other areas which have not been mentioned, but this should give you an idea of property availability. 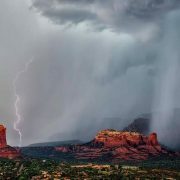 Of course we cannot guarantee that these properties will be available or that the number will be the same later today, but this should give you an idea of the areas of Sedona you might want to consider.